On a recent drive from Melbourne to my hometown of Adelaide, I decided to do a bit of road trip, driving up to Ouyen and along the Mallee Highway to do some exploring and take photographs. With Scoreboard Pressure in mind, I stopped at a few footy grounds along the way and encountered a variety of states, from the lush and well-tended to the abandoned and forlorn. Although there were no games in progress, it was easy to stand on these ovals and imagine the cars around the perimeter, the honking horns, the shouts of the spectators and, of course, the on-ground battles with the ensuing triumphs and disappointments. Just some of the things that make this game of ours so great. 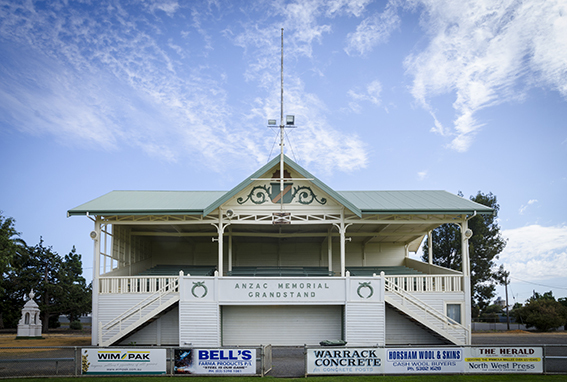 My first stop was Warracknabeal, a wheatbelt town on the banks of the Yarriambiack Creek, and home of the Warrack Eagles. 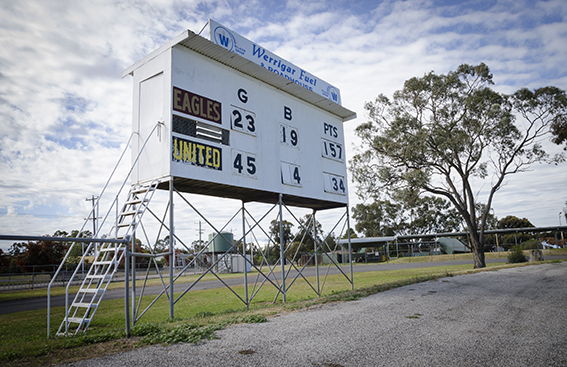 According to australianfootball.com the Eagles ‘boast a fine pedigree, having been born of the union in 2001 of two successful clubs of long standing in the shape of Warracknabeal and Brim’. 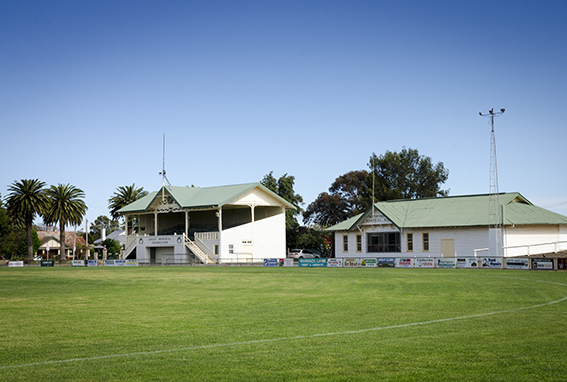 The maroon and gold play in the Wimmera Football League. A big win for the home team., despite the visitors’ 45 goals. The next stop in Eric’s epic adventure is Parilla, South Australia. Stay tuned. You can also visit Eric’s site for some very fine photography, from Melbourne to rural Australia to New York to Cardiff.